A robbery suspect is dead after exchanging gunfire with D.C. police officers in Southeast Washington Wednesday afternoon. 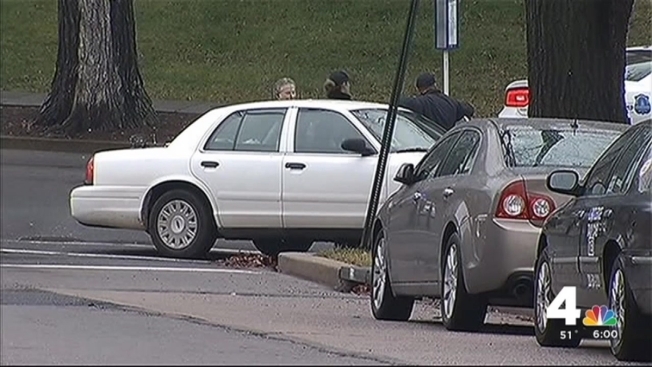 The incident was reported around 3:30 p.m. at 30th Street and Naylor Road SE. According to 6th District Commander David Taylor, police officers attempted to stop a man who matched the description of a suspect wanted in a nearby robbery. Taylor said the alleged suspect, later identified as 33-year-old Gregory Marcus Gray, then brandished a weapon and shot at officers, who returned fire. UpdatedGeorge H.W. Bush Remains Hospitalized, Prognosis "Positive"
An eyewitness, who wanted to remain anonymous, said police fired the first shots. "A dude ... was running down the street and [the police officers] just stopped right there and jumped out the car and started shooting. I heard about 20, 21 shots," he said. Gray was transported to a local hospital and later pronounced dead. A weapon was recovered from the scene. Taylor said "approximately three" police officers were involved in the shooting. They were not injured. Editor's note: D.C. police had initially identified the suspect as 29-year-old Raymond Robinson.